Agents and brokerages are doing things to set themselves apart and make an impact on the process of buying or selling a home. Community outreach is key to bringing in clients and serving the community. Plus, several other tips for connecting with clients on a deeper level. SAN FRANCISCO — Being unique and thinking outside of the box is a surefire way to get noticed by the consumer — and the industry takes notice as well. Agents and brokerages are doing things to set themselves apart and make an impact on the process of buying or selling a home. Some agents are doing fascinating things to do just that. Brian Bair, real estate agent and team leader of Bair Group in Phoenix, has an in-house concierge on staff to give VIP service to all of his clients. The effort of elevating his clients’ experience to a new level has paid off well for Bair and his team. As he shared with the Agent Connect audience, the idea is for each one of his clients to feel like they are a $2 million client — even if they are a $200,000 client. Bair’s team, which has a concierge and relationship manager, will handle everything including helping a client connect with utility providers and making sure the yards at his listings are manicured. To connect with potential clients, Bair and his team open their office once a quarter and bring in a presenter to share on various topics for the community to enjoy. He has brought in dietitians, financial advisers and more. Nancy Braun from Charlotte, North Carolina, had a slightly different take on how she goes above and beyond to help her clients. Braun, broker-owner of Showcase Realty, invested time and money in building systems and processes to leverage more time and energy to focus on growth and better client care. While evaluating how she could surpass her plateau of 60 transactions a year, she realized that by laying out her systems, she could accomplish more and give premium service. One of her hot points was the use of a CRM and lead nurturing system to help her become better at maintaining the relationships that matter to her business. With all the systems in place, Braun now feels confident that she makes the whole experience one that will be memorable for her clients. As part of her investment in creating her systems and processes, she places emphasis on delegation to make sure that nothing is missed, and it’s one person’s job to love on her clients and create raving fans. Debbi DiMaggio, on the other hand, is a self-proclaimed control freak and hates to delegate — with the exception of to her husband — but even then she has a hard time giving away control of a piece of the process. DiMaggio, a top-producing agent at Highland Partners in Piedmont, California, feels control allows her to know exactly where her clients are in the transaction. She also said she feels that being involved in all the steps of the process gives the transactions a more personal feel and deepens the relationship with her clients. By using a neighborhood tour as part of her buyer process, she brings the personal touch to another level. She puts her clients in her car and before showing homes, they get a guided tour of the neighborhood in which they are interested. Much like Bair, DiMaggio created a Workshop Wednesday to bring people into the office and create relationships while giving the community value. In a similar stride of outreach, her company has an Italian espresso cart that serves free coffee on July 4 along the community’s parade route; she also leaves her office open for anyone to use the facilities during the course of the day. 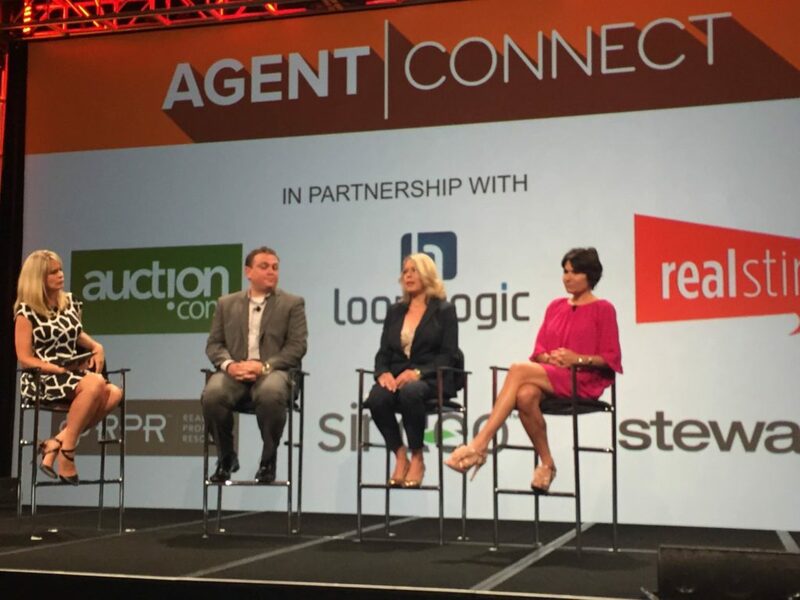 The culture of personal care and exceeding expectations was the big takeaway at Agent Connect. The culture of personal care and exceeding expectations was the biggest takeaway from the Inman crowd at the Agent Connect session. Thank you, Brian, Nancy and Debbie, for sharing your passion for outreach and connecting with your clients on a deeper level. Ryan Bokros is a practicing REALTOR in Houston, TX and Director of Industry Engagemwnt for IDX Broker. Follow Ryan on Twitter: @ryanbokros | @idxbroker.